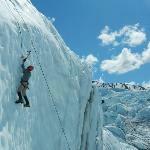 The only way to experience a glacier is to climb on it. Sure the flight around Denali was spectacular, but hiking, climbing and just being on the Matanuska Glacier is the only way to really experience one. Using MICA guides is the only way to do it. My daughter and I took a day of ice climbing as part of a 9 day Exposure Alaska trip. My expectations weren't high but we were so blown away by the experience that we came back on our last day in AK for a second, privately guided climb. The weather was exceptional the first day but less so the second, oh well. That said, I would be hard pressed to choose which day was better, the first for the novelty of the experience and fantastic weather and guides, or the second with harder routes, getting dropped into a crevasse to climb out led by an equally excellent guide under gray skies. Everyone at MICA emphasized safety, from the quality of the equipment to the safety checks by the guides with each and every step we took from the car to the glacier and back. Special kudos to Matt who did an exceptional job of showing us how to set an anchor, and, on the fly, reviewed how to rig a crevasse rescue when we asked him. 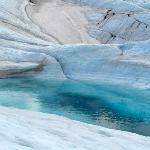 Matanuska Glacier Trek with MICA- Awesome! 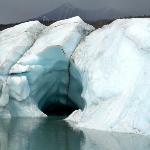 We highly recommend a trip out to the big and beautiful Matanuska Glacier. 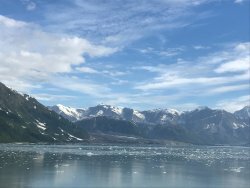 My husband and I wanted to do more than just look at a glacier from afar while on our trip to Alaska. 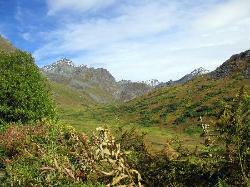 We really enjoyed the drive- we went up to Hatchers Pass and then onto the beautiful Glenn Hwy. 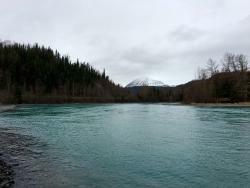 to get to Matanuska. We wanted to get the most out of our glacier experience so we took a guided tour with MICA. The day of our Trek, May 28th, was a sunny and cold morning that did warm up some in the afternoon. We wore our coats & gloves (that we removed as we warmed up from the activity and the sunshine) and MICA provided us with hiking boots, crampons, helmets, and the proper techniques for the trek on the glacier. The MICA guides took our group of six safely across, up, and down the glacier to the awesome ice falls and it's small seasonal lake. We watched the Ice Climbers that were there and also filled up our bottles with glacier water. During our 3 hour trek our guides took us to view so many beautiful areas, and gave us lots of interesting facts about the glacier. I don't think we would have seen all that we did if we tried to trek it on our own, I am very glad we went with MICA. Great trip but cold day. My wife and I took the ice climbing trip and had a great time with the exception of the rainy weather. 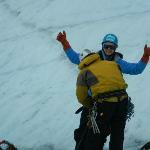 Guides did a great job of instructing us how to climb and also giving information about glaciers. Just wish it had been sunny so knock some of the chill off. My mother was visiting from NY and we decided to try something new for both of us. It was raining which caused the three other people to back out. So we ended up with a private tour with our guide Matt. He allowed us to choose how many times we wanted to climb a particular wall and when we would move to another wall. He let us choose how the guided tour progressed which was great. We learned a lot, got a workout, and took many beautiful pictures. 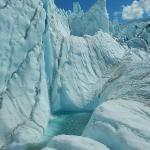 Trek Matanuska Glacier with Mica Guides - Do it! 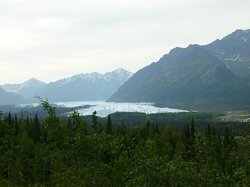 During the last week of May, my husband and I hiked Matanuska Glacier with Alyssa, our friendly, safety-conscious, and extremely knowledgeable Mica guide. Thank you Alyssa and Mica Guides for a spectacular day. 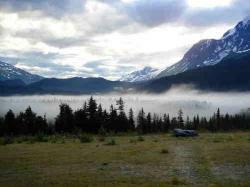 First, the drive from Anchorage was awe-inspiring; each turn in the road brought even more gorgeous views. 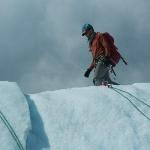 When we reached Mica Guides, we were welcomed warmly and fitted with crampons and helmets. They also have ankle hiking boots, poles, and extra backpacks should you need those. You should note that the little outpost has only a port-a-potty as a bathroom facility. I kind of wished we had stopped along the road before we got to Glacier View. The trek/hike was an adventure we will always remember. The glacier offers a multitude of features that delight the senses and quench the thirst of the life learner interested in science. Bring your best camera. I highly recommend this trip with Mica guides! After a disappointing, pricey glacier cruise in Whittier, mom and I decided to check out this glacier on our own. 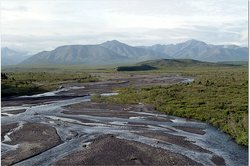 The experience was awesome from the scenic Glenn Hwy drive to the beauty of nature surrounding the glacier area to the Matanuska glacier itself. Mom has always wanted to 'stand on a glacier', so that's exactly what we did. We got wonderful pictures with lovely backdrops and couldn't have been more pleased with this activity. They also have guided tours, which I'm sure are great, but we just wanted to take our time and enjoy it on our own. If you're only interested in getting good views and saving some $$, read its history and do it on your own...only fee is the entrance. If you're more interested in climbing throughout the entire glacier, a tour guide is probably your best, and safest, option. Highly recommend.